UTSA must win last three games to break even this season. UTSA's last game: Lost to UAB 52-3, Nov. 3, Birmingham, Ala. Notable: UTSA has lost three in a row after ripping off three consecutive victories that evened its record at 3-3 . . . FIU had won four straight before losing to Florida Atlanta last week . . . The Roadrunners are playing their first home game since Oct. 13. After Saturday's game, UTSA plays at Marshall next week and ends the regular season against North Texas on the Saturday (Nov. 24) after Thanksgiving. 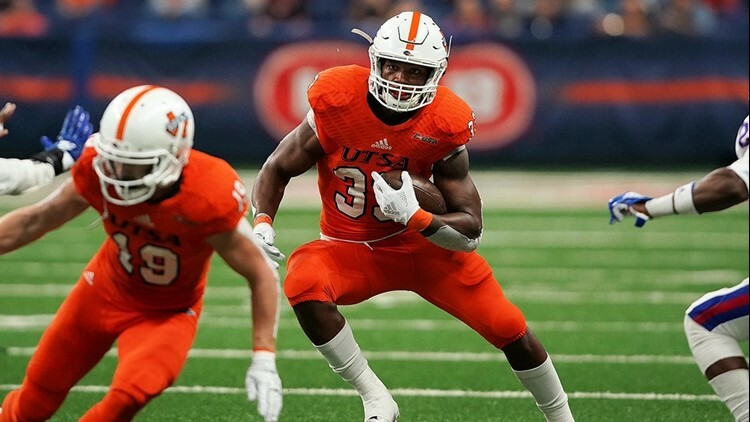 SAN ANTONIO – This has not been a good season for UTSA football. The Roadrunners started 0-3 after losing to Power 5 opponents Arizona State, Baylor and Kansas State by a combined score of 127-44. But then came three consecutive victories over Texas State, UTEP and Rice that put UTSA’s record at .500. The Roadrunners haven’t won since beating Rice 20-3 on Oct. 6, in Houston, losing to Louisiana Tech, Southern Miss and UAB. UTSA , 3-6 overall and 2-3 in Conference USA, will carry the burden of that three-game skid when it hosts FIU (6-3, 4-1) in a league game at 6 p.m. Saturday. After playing FIU, the Roadrunners play at Marshall next Saturday and end the regular season at home against North Texas on Nov. 24, the Saturday after Thanksgiving, UTSA would have to win all three games to finish 6-6 and meet the baseline of victories for bowl eligibility. But at this point, the Roadrunners aren’t even thinking of making a run for a bowl bid. They just want to win a game. UTSA did not get a bowl invitation last year after finishing 6-5. “The most important thing right now is FIU,” Roadrunners coach Frank Wilson said this week after a workout. “It’s not bowl eligibility. It’s not six (wins). It’s win No. 4. To have a quality opponent like FIU come into our arena, we want to play our best. Asked how he’s kept his players motivated during this rough patch, Wilson talked about how adversity has a way of revealing a person’s character. “We need to continue to grow up and know how to handle success and how to handle adversity, regardless of what happens and be able to play through it,” Wilson said. FIU had won four straight before a 49-14 home loss to Florida Atlantic last week. “They’re a solid football team,” Wilson said. “There’s nothing exotic about them. There’s not a whole bunch of trickery. They’re a sound team that lines up, knocks you off the ball, takes shots at times down the field. They’re basic and fundamental, in style of play.